Talent Acquisition Is An Art: How to Make It Errorless? Talent acquisition is an ongoing process of attracting talents to be a part of the growth of your company. The question is, are you just recruiting candidates or acquiring talents? In this article, we will discuss the 10 fatal errors that are stopping you from acquiring talents beyond random recruitment. Is your company troubled by the repeated bad hires? Well, then you are not alone. 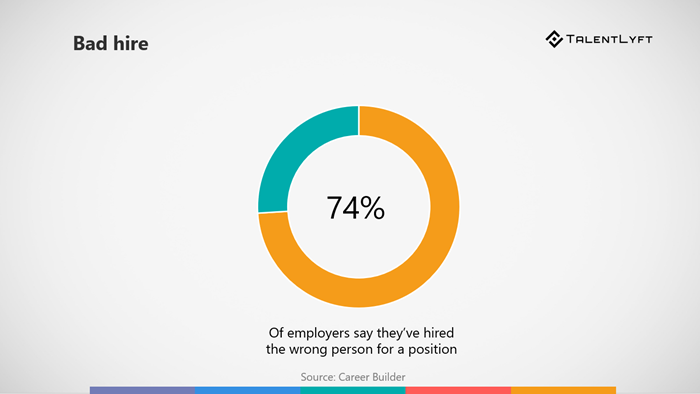 According to a press release published by Career Builder, around 74% of the companies make bad hiring choices, and each of the bad decisions costs them $17,000 in an average. Having trouble in attracting quality candidates is a universal problem faced by many companies. ➡️ Download free eBook: The Ultimate Guide for Finding Qualified Candidates in 2019! A bad hire can make you and your company suffer in different terms. Employers fail to get proficient applicants because they focus more on recruiting candidates rather than approaching the right talents. Nowadays, with the twirl of new technologies, recruitment has become a whole different thing. It’s more like talent acquisition where you need to be creative to develop an effective talent acquisition strategy. What is talent acquisition and how is it different from recruitment? Talent acquisition is an ongoing process of attracting the subject matter experts to be a part of the growth of your company. A proper talent acquisition strategy is needed when you are looking for future leaders for your company. With recruitment, employers fill the entry-level random positions, and with talent acquisition, employers tend to fill the high-level positions. The huge mistake employers make here is to recruit candidates randomly and fill the tougher positions. Now the question is, are you just recruiting candidates or acquiring talents? If you are unsure, then let us do the hard work for you. Below, we will be discussing the 10 fatal errors that are stopping you from acquiring talents beyond random recruitment. Employers often get confused between the candidate relationship and the talent relationship. Maintaining only the candidate relationship is not enough anymore. You need to learn the best practices of talent relationship management to outperform your competitors. As per a white paper submitted by PageUp, just 41% of the companies have a well-structured talent relationship management process, and only 37% of them know how to fill the skill gaps. Strategize an effective talent relationship management plan and keep in touch with the right talent. Often companies reject candidates saying that the candidate is either underqualified or overqualified. But, the same candidate can potentially be a good fit for any future openings. Keeping touch with the previously considered candidates is a good practice here. 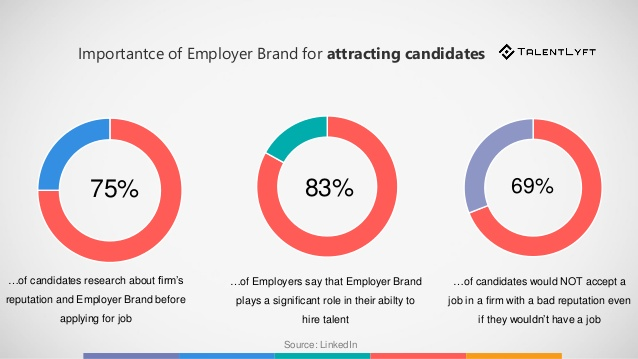 On the other hand, after selecting a candidate, most of the companies avoid interacting with them till the joining date and afterward, they find the candidate joined some other company. According to a slideshow created by Brazen, lack of communication promotes lack of trust. Following up with the candidates and making them feel an important part of your company can do wonders. The job market is no more employer-driven. The job seekers are now choosing their employers, and this change is here to stay for the time now and beyond. Quality candidate experience is the foremost thing to keep in mind when you are looking for hiring the top talents. If you are not strategizing the candidate experience properly, then you are making a colossal mistake. Enhancing candidate experience increases your chances to fill an open position shortly. It is important that you know the key causes of bad candidate experience and avoid them. You should also get familiar with the best practices for improving the candidate experience. Inform if the position gets filled. Starting from scratch, i.e. talent acquisition to employee experience, HR plays a vital role on behalf of a company. If your HR is not well-trained, then it can cost the reputation of your company. According to an article published in BDC, every company should have a proper HR training program to support the growth of HR as well as the growth of the company. Hiring Human Resource professionals assuming that they are well-trained and experienced is a blunder. The hiring goals vary from company to company, and you need to train your HR according to your company’s hiring goals. In today’s technology-driven market, you don’t need to worry about creating a proper HR training program. Numerous efficient online HR training software is available there to help you create the best training program for your HR(s). You can make your training program as interactive as you want by adding quizzes, surveys, polls, etc. without knowing any coding skills. Successful talent acquisition plays an essential role in the revenue growth of the company. Make sure that your HR is well informed about the opened position to communicate it properly. Train the HR to master the candidate follow-up process. Ask your HR to keep the process short and highly interactive. The general process of recruiting is horribly time-consuming. A case study published by Inc. shows that the traditional candidate interviewing process is going to be completely obsolete shortly. Companies are experimenting with all new ways to onboard people. If you are still stuck with the typical interviewing process, then this could be one of the main bunkers that are stopping you from hiring the right talent. Employee referrals are creating a buzz in the talent acquisition process. It creates a win-win-win situation for the company, the existing employee, and for the referred candidate. The concept is simple, instead of running a typical recruitment process, you ask your existing employees to refer suitable candidates for the opened positions. Upon successful acquisition of the referral, greet your existing employee with a referral bonus. According to an article published by Devskiller, your existing top performers refer your future top performers. 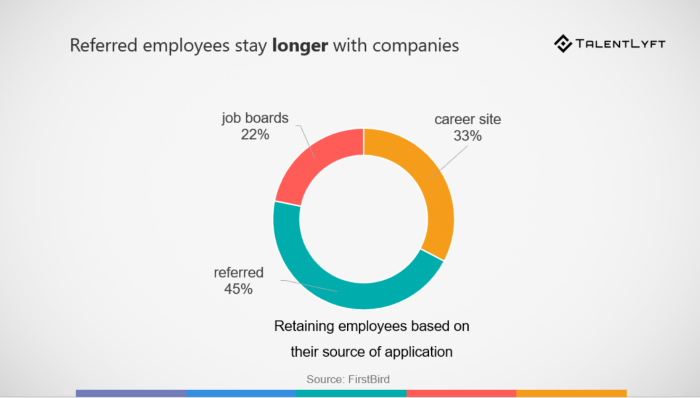 Hiring through employee referral program takes less time and effort to recruit and is cost-effective too. It promotes healthy employer-employee and peer-peer relationships. If you haven't tried this method yet, then give it a thought. Many of the companies still use the traditional channels of recruiting while there are a plethora of other more effective recruitment channels. One of them is social media. The data presented by Research Gate shows the impact of different social media platforms on talent acquisition. 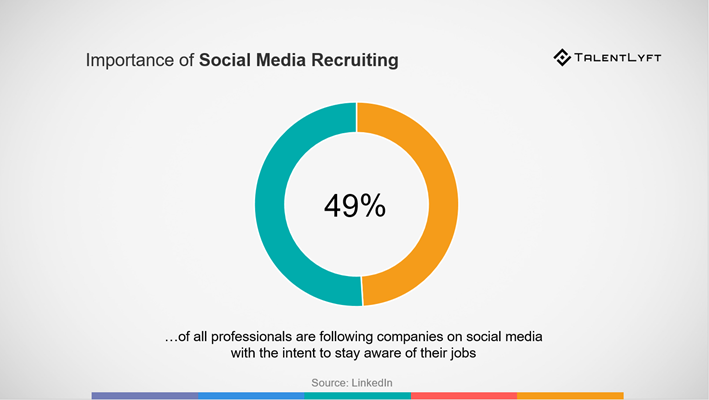 If you have not started recruiting through social channels, then you are leaving better opportunities on the table. Social recruiting is a new trend in talent acquisition. This interactive hiring method lets you know your potential candidate better. LinkedIn is known as the best social hiring platform followed by Twitter, Facebook, and other platforms. According to Forbes, creating a brand around your company is a have-to-do thing in this era. The more sought-after your company is, the more response you will get to your job posts from quality candidates. But unfortunately, most companies ignore this fact and skip branding themselves. An applicant tends to avoid sharing his/her curriculum vitae with a company they are not familiar to. If you have these 3 things sorted, you will easily create your employer branding strategy. The all new technologies are easing the processes of almost all of the sectors including the talent acquisition process. An article published on Visier shows how effective the data-driven recruitment process is and will be. But, some companies are unaware of this fact and continuing with the guessing job. In this way, they are helping their competitors grow at a rapid pace. A data-driven hiring process has fewer chances of hiring an imperfect candidate than a hiring process which is not backed by data. When you have the right data about your potential candidates in hand, you can make a better offer that they can’t refuse. Apart from talent acquisition analytics, recruitment automation also helps you to hire the most eligible candidate in the least period. Inc. published an article regarding the importance of ABCs, i.e., Artificial Intelligence, Blockchain, and Chatbot in automating the acquisition process. By implementing these technologies in your recruitment process, you can make the process more straightforward and spontaneous. According to the Recruiter website, most of the companies don’t know what they want to achieve with their ongoing recruitment drive. They don’t bother to look at the recruitment metrics to measure the entire process and the outcomes. Every talent acquisition department needs to have clarity about the hiring goals. You may have heard about the sales funnel but do you know that you can also create a recruitment funnel to keep your recruitment process trackable? Yes, a recruitment funnel helps you to streamline the overall talent acquisition process. It has been quite a long time the employers are solely focusing on the traditional economy. While it’s the best practice to have full-time in-house salaried employees onboard, the gig economy shouldn’t be overlooked either. Many renowned employers have already chosen this smart recruiting process to maximize organizational growth. Gig economy is at its peak now, and websites offering gigs such as Airtasker are becoming more and more popular. Gig economy creates a flexible working opportunity for both of you and your employees. The 9 to 5 work scheduled is no more working well for the Millennials and the Gen-Z. They want more flexibility and decision-making rights given to them. Following the “Be your own boss” trend, people are getting more involved inside hustles that let them work flexibly on their chosen projects. You can use online software for employee training that allows you to train them remotely. The responsibility of a recruiter doesn’t complete after posting the job requirements to the job portals. Your post will remain unseen by the potential candidates if you don’t market it well. This is one of the main reasons employers are unable to find the right candidates even when they have a lot to offer. Recruitment marketing is an integral part of talent acquisition. Recruitment marketing is a necessary part of the entire talent acquisition process. Marketing open positions helps you reach the right pool of talents. Moreover, a successful marketing campaign creates brand awareness that in return increase the interest of the potential candidates in your company. If you look at the most successful companies, chances are, you will see them marketing their open positions in innovative and engaging ways. There are particular marketing teams dedicated to strategizing the marketing plan to market the open positions only. Final Takeaway: Talent acquisition is an art - and a necessity! In this candidate-driven job market, talents won’t come to you to get hired. Instead, you need to find the right talents to serve your company. And, strategizing an errorless talent acquisition plan is the only way to allure them. As the title says, talent acquisition is an art and the more creativity you pour, the better result you will get. Kamy Anderson is a market researcher with a passion for writing on emerging technologies primarily in the areas of learning management system and e-learning tools. Currently, he is associated with ProProfs Training Maker.